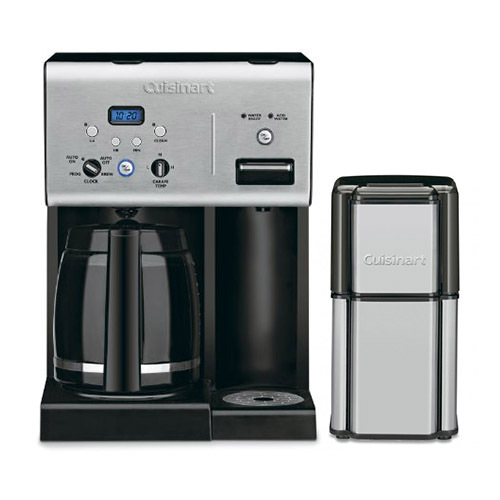 The Cuisinart CHW-12/DCG-12BC is a combination of 12-Cup Programmable Coffeemaker with Hot Water System and Grind Central™ Coffee Grinder. The CHW-12 coffeemaker delivers up to 12 cups of hot coffee and has Brew Pause™ feature which allows for pouring a cup before the brew cycle has completed. Other highlights include 24-hour programmability, carafe temperature control, ultra-convenient hot Water system and easy to use indicator lights. The DCG-12BC Coffee Grinder features a stainless steel and white housing, and removable stainless bowl and blade assembly. This big, sleek coffee grinder can handle a whopping 90 grams of beans at once, and it grinds spices as well. It has single on/off button which controls grind consistency, and a built-in safety interlock makes the grinding safe and easy. 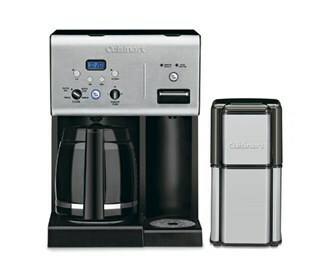 The 12Cup Coffeemaker & Grind Central Coffee Grinder Kit has many exciting features for users of all types. 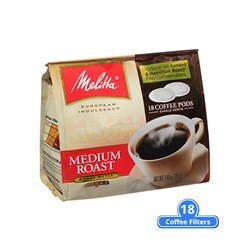 See the 12Cup Coffeemaker & Grind Central Coffee Grinder Kit gallery images above for more product views. 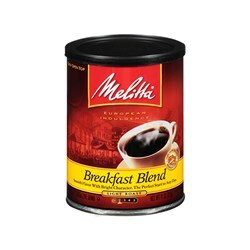 FactoryOutletStore stocks a full line of accessories like Melitta 60253 Classic Blend (Single Pack), Melitta 60254 Breakfast Blend (Single Pack), and Melitta 75448 Soft Coffee Pods-Medium Roast (Single Pack) for the 12Cup Coffeemaker & Grind Central Coffee Grinder Kit. 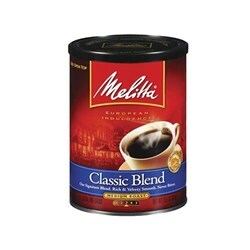 The 12Cup Coffeemaker & Grind Central Coffee Grinder Kit is sold as a Brand New Unopened Item.